These spicy, floral and distinctive white wines are made for summer. But their extroverted personalities require extra care at the table. Aromatic whites are known not only for their vibrant fruit flavors—like citrus, apple, pear, apricot and mango—but also for their strong aromas of flowers and spice. Their vibrant scents and flavors are often best showcased by vinification and aging in stainless steel or other neutral vessels. Some of these grape varieties originated in one part of the world, like Riesling (Germany) or Pinot Gris (France), and are now widely grown throughout both hemispheres. Others remain fairly entrenched in one place, like Torrontés (Argentina) or Fiano (Italy). Growing conditions vary widely for these grapes. Some thrive in cool climates, while others are nurtured by the warmth of the Mediterranean basin. Some grow in decomposed slate, others in volcanic soils. Regardless of their differences, these varieties share one thing in common, an impressive growth in popularity. The rise of aromatic whites can be tied to two trends: the increasing popularity of international dishes that combine hot spice and sweet notes, and consumer curiosity about a growing list of wine regions and varieties. 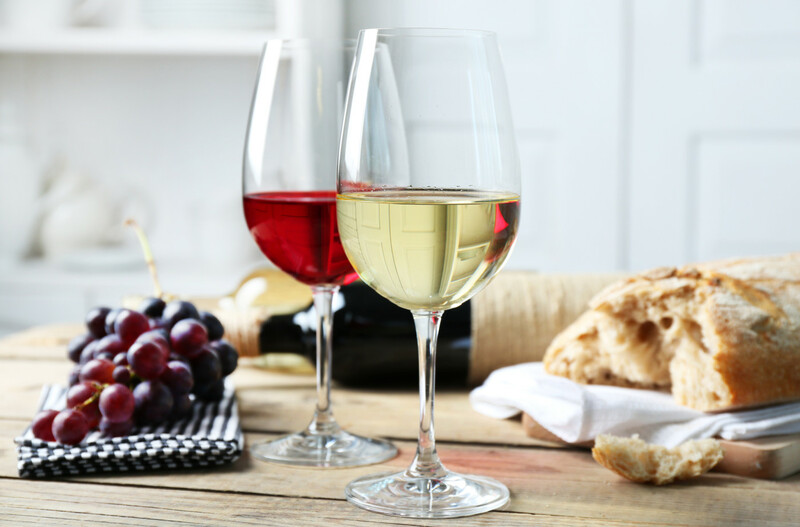 The same qualities that make aromatic whites so desirable to drink, including pronounced floral and spice notes, can make it challenging to pair them with food, especially if one flavor dominates, such as rose petal or Chinese five-spice powder. Balance is the key; whether in dry, off-dry or sweet versions, fruit, flowers and spice must be balanced by acidity and minerality. Whatever your choice of food—Asian, Indian, cheese, charcuterie or barbecue—there’s an aromatic white that will make a perfect match. In a large pot set over high heat, bring 3 cups salted water to a boil. Add the potatoes and cook until tender. Drain the potatoes using a colander, and when cool, peel and cut into ½-inch-thick slices. Set aside. Heat 2 tablespoons of butter in a medium sauté pan and cook the mushrooms until tender. Season with salt and pepper to taste, and set aside. Toast the fava beans in a medium-hot pan with the oil, and season with salt and pepper to taste. Let the favas brown slightly, then set aside. In a medium saucepan, heat the ketchup, vinegar, soy sauce and ginger juice. Bring to a simmer and whisk in the remaining butter bit by bit, or use a handheld blender. Finish with lime juice and set aside. Keep warm. Heat a sauté pan over medium-high heat. Season the fish with salt and pepper and dredge lightly in Wondra. Cook the fish skin side down and turn over after a crust forms, about 3–4 minutes. Once turned, allow the fish to cook for another 3 minutes. Rewarm the vegetables, combine them together and arrange them in the center of a dinner plate. Place the cooked fish on top. Whisk or blend the sauce with a handheld blender until frothy. Spoon the sauce over the fish and serve immediately. Serves 4. Prepare the bouillon by combining the stock, thinly sliced ginger, lemongrass, mushrooms, garlic, peppercorns, coriander and salt in a medium saucepan. Bring to a boil, then reduce to a simmer and continue to cook for 30 minutes. Add the duck to the bouillon pot, cover it and remove it from the heat. Allow the duck to steep for 30 minutes, then remove it from the bouillon and cut the meat into thin slices. Bring the bouillon back to a simmer, and add the leek, mushrooms and carrots. Cook for 5 ­minutes. Place a few slices of duck breast in the center of each of four large, flat soup bowls. Divide the vegetables and broth evenly among the bowls and season with the julienned ginger, chives, chervil, parsley and tarragon. Serves 4. Wine Pairing: Rachel Lowe, former beverage director at Sixteen, pairs this dish with Marcel Deiss's 2002 Engelgarten. "Composed mostly of Riesling and Pinot Gris, this ripe wine fills your nose with notes of apricot, honey, peach skin and beautiful minerality," says Lowe. "The subtle ginger flavors of the wine work well with the delicate broth, while the texture and acidity complement the duck." The current-release 2008 should work nearly as well. In a large mixing bowl, whip the ricotta until smooth. Refrigerate until ready to assemble. Preheat an oven to 375˚F. Lay the slices of bread on a sheet pan, drizzle with 2 tablespoons olive oil and sprinkle with sea salt. Place in the oven until toasted and crisp, then remove and allow to cool. Lower oven to 350˚F. In a mixing bowl, combine the diced pumpkin, honey, 1 tablespoon olive oil, cinnamon and salt and pepper to taste. Toss well and place on a baking tray. Bake in oven until the pumpkin is tender, approximately 20 minutes. Remove and cool to room temperature. Meanwhile, place fennel and red onion in a chilled bowl, drizzle with 3 tablespoons olive oil, lemon juice, and salt and pepper to taste. Toss and set aside. To serve, spread 1 tablespoon of ricotta cheese on each of the crostini and top with 1 tablespoon of the pumpkin mixture. Place two pumpkin bruschetta on each of six plates and equally divide the fennel salad among them. Serve at room temperature. Serves 6. Wine Pairing: Executive Chef jW Foster pairs his bruschetta with Inniskillin's Riesling Icewine. "The perfectly balanced sugar and acidity of the wine work great with the creaminess of the cheese and the sweetness of the roasted pumpkin honey." Flavor Profile: Spicy and peppery, with some celery leaf and stone fruit notes.